KWILT KRAZY: Happy May Day! My sweet Hubby helped me get my room organized again. I get overwhelmed when it gets too messy. Luckily I have a man that is much more organized than I am and has great ideas and energy to get me going. I would not have done all this by myself. I just kept twirling around in circles trying to decide where to start. It is still only a start. I would like to get everything organized by color but that may take a year LOL. Here is my new and improved sewing room. Closet Hubby converted to a cool sewing table. I can close the door but usually don't. Hubby made a corner shelf for all of my many magazines and books and got these shelves for me from Home Depot to store fabric. My Grandmother's old Singer is on a shelf for decor and Hubby made this cutting table for me. I keep the Charles Chips container for trashing fabric during cutting. Only fabric that is way too small to keep. I am a scrap hoarder so it is probably only 1/8 inch when I throw it away. I am not a great photographer so I closed my blinds to show my computer desk. Hubby made a top for my Grandmother's old Singer to covert to a desk. The top was in real bad shape so he put a new piece of wood on top and stained it. I like to play with the treadle foot while on the computer. At my quarter seamer's club we are working on the Tree of Life. 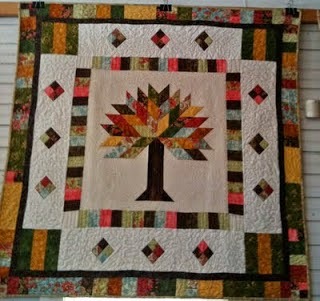 This is Debbie Powell's completed Tree of Life. 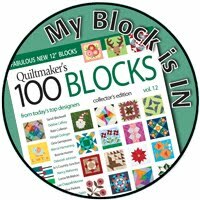 The pattern is from the book Big Block Quilts by Magic by Nancy Johnson-Srebro. Miss Lou will be showing us how to put all the blocks together on Monday. I am proud I have gotten this far so fast. I usually only have part of my homework finished. Today I am starting a new wall hanging. I just loved this pattern. 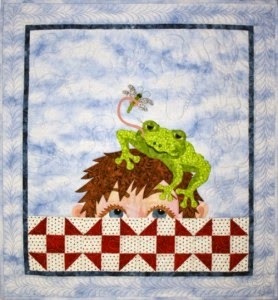 It is Frog Days of Summer by Sandy Fitzpatrick of Hissyfitz Designs. 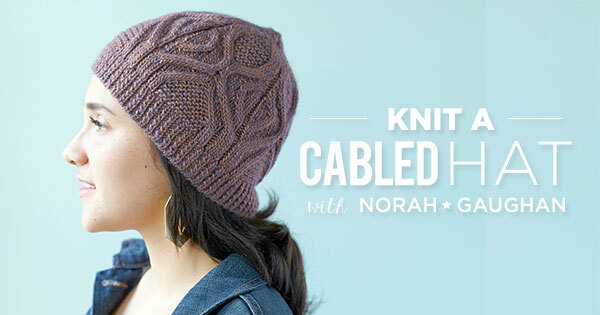 Check out her site she has lots of cute patterns. Well I guess I will start cutting. 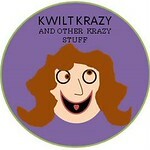 Have a Kwilt Krazy weekend! Wow, that is a great sewing room. Isn't a handy hubby a wonderful thing! Found you from your comment on I Sew We Quilt. I am going to picnic too. 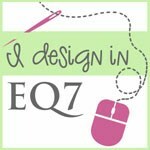 I think your sewing room is amazing! Your husband is so nice to help you with shelving and organizing. I think my favorite part is the sewing machine in a closet. What a clever way to maximize that space, your husband is a dear for helping you build that table!